Three in five UK adults drink alcohol to help relieve the stresses of everyday life. 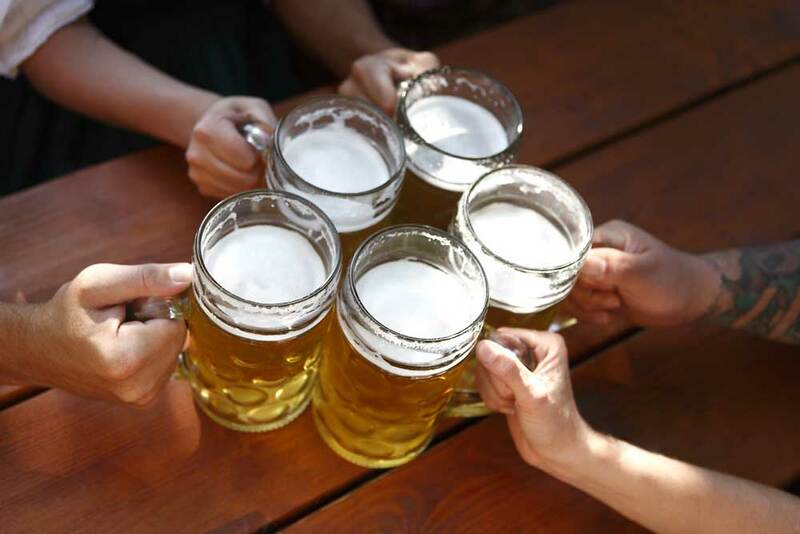 With the promise of long summer days and evenings and no doubt more events on the way, it could prove a tempting time for many to enjoy a few more drinks with friends. It’s not exactly news that drinking a lot of alcohol in a short space of time can have an adverse effect on your mental health – alcohol can alter your brain chemistry, reducing your serotonin levels which can ultimately lower your mood. But what exactly causes some people to get emotional when drinking? And what causes you to be anxious when hungover the following day? inhibitory (reduces the brain’s energy levels), alcohol affects both. After a few drinks, your excitatory neurotransmitters become suppressed and the production of inhibitory neurotransmitters increase, slowing down your brain functions. surroundings and we can become focused on certain things or people. If you are already prone to anxiety or stress, focussing on certain things may cause us to misread situations and believe them to be threatening or dangerous, heightening anxiety. You are experiencing withdrawal symptoms when you take a break from drinking; sweating, shaking and feeling nausea – all which stop when you have a drink. If you are experiencing withdrawal symptoms from alcohol dependence, which can be both physical (tremors, sweating and nausea) or mental (depression, anxiety or irritability), speak to your GP. Some cases can be relatively mild and will find that exercising and relaxation techniques help. However, if your symptoms are more severe and begin to affect your daily life, there are other options available. Talking therapies can be extremely beneficial and some doctors will also recommend anti-depressant medications in more severe cases. There is drug-free alternative to medication, which you can also look into called Transcranial Magnetic Stimulation (TMS). TMS is a NICE approved, non-invasive treatment that uses pulses of magnetic energy to stimulate areas of the brain known be under-active in patients with depression.